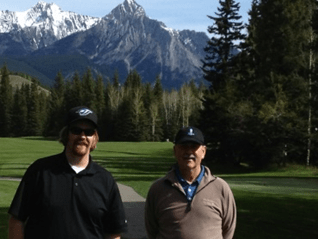 “I have golfed at more than 300 courses around the world – and I rate Kananaskis among the finest. The people, the setting, and the courses are absolutely first-class. I was nicknamed ‘Mr 7:21’ by one of the starter team members. 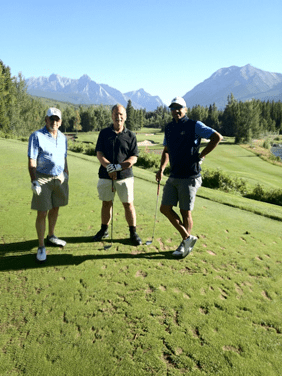 I have been golfing at Kananaskis at 7:21am every Saturday (and the occasional Sunday) for almost a decade now. 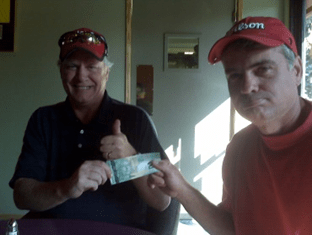 Starting at 7:21am offers a good pace of play – we get a bite to eat afterwards and we’re back in Calgary by noon. It’s rare to find two 18-hole championship courses that are vastly different, and in such an unbelievable, majestic setting in the mountains. 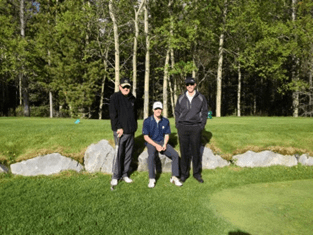 The course designer, Robert Trent Jones, is one of the greatest architects in golf history, and he said Kananaskis was one of the best canvases he ever had to work with. I always say to the team, ‘God created the mountains, and you had the golf god Trent Jones create the courses’.